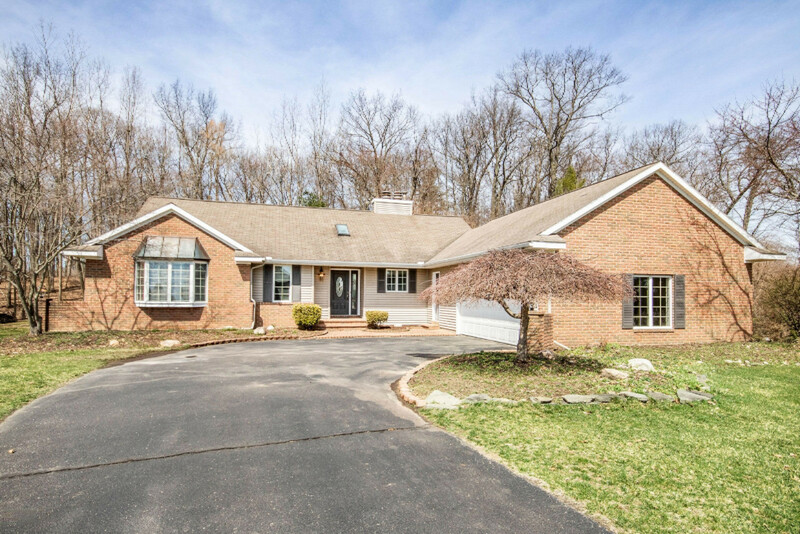 Beautiful ranch home located at the end of a cul-de-sac with 17 acres of association woods backing up to property for lots of privacy. Access to one of the many shared lake/ picnic/beach areas. This home features 4 bedrooms and 3 full baths. Large living room with two sided gas f/p to the kitchen area. Updated kitchen with granite countertops and hardwood floors and main floor laundry. Gorgeous sunroom with built in entertainment center/cabinets and slider door to deck with panoramic views ofthe lake and wooded area. Formal dining and nice entry way. Main floor master suite with his and her closets, master bath and slider to deck. Lower level features a large family room with wood burning f/p, two large bedrooms, full bath, large storage area and slider/door to patio area. Deck spans length of home. Garage is 2 plus and very deep and a storage room under the sunroom for your lake toys etc. Furnace 2013, A/C 2014, water heater 2017, new carpeting upstairs and driveway repaved Deck spans length of home. Garage is 2 plus and very deep and a storage room under the sunroom for your lake toys etc. Furnace 2013, A/C 2014, 50 gallon water heater 2017, new carpeting upstairs, brand new carpet in downstairs back bedroom and driveway repaved.